As experienced affordable housing management professionals know, the LIHTC program is the primary production tool for creating new affordable housing properties across every state in the country, and it is also the most important tool for rehabilitating and preserving the nation’s existing stock of aging affordable housing. To maximize their careers, management professionals in the affordable housing industry must be able to demonstrate their experience and expertise in mastering the complex requirements of the LIHTC program. Earning your SHCM enables you to do just that. 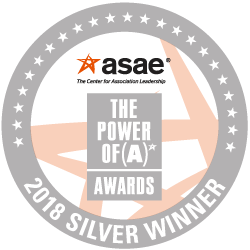 *The National Affordable Housing Management Association (NAHMA)’s Specialist in Housing Credit Management (SHCM) certification program has been named a 2018 Silver Power of (A) Award winner in the Power to Create a Competitive Workforce category by the American Society of Association Executives (ASAE). Anita Moseman – is Vice President for Monfric Realty, Inc., a property management and consulting firm based in Grand Junction, Colorado, and subsidiary of Monfric, Inc. based in San Diego, California. She is also a partner in HCP, a training and consulting firm based in Orange, California and has been in the affordable housing industry for over 34 years. Anita has served on the Board of Governors of RAM, as a board member of RockyAHMA and as a technical advisor for SHCM and HCCP. She has been recognized by various AHMA’s for her excellence in training and has been awarded the Clive Graham Memorial Award in recognition of Outstanding Service to the Affordable Housing Management Industry.